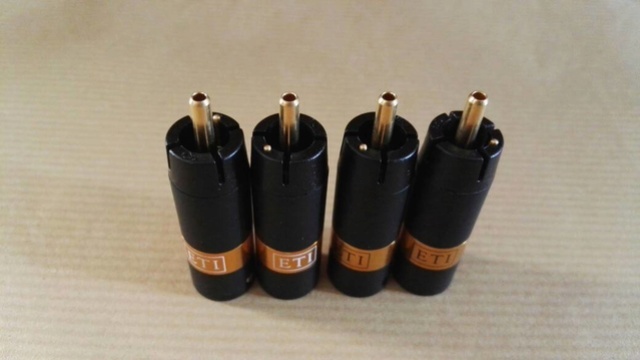 The new LINK RCA Connector is based upon the famous Bullet from ETI-Research with added benefits. The Signal Pin is now made from Pure Copper for even better conductivity while maintaining the Hollow Pin design. The benefits of the hollow design are far more conducive to the sound quality than if we just made a simple solid pin instead like so many of the copies on the market today. Since the Return Pin is a very Low Mass design to make it from Harden Copper would not give the strength or the durability needed for soldering and everyday use.Being Made form Tellurium Copper maintains the strength needed to last for years and years. The Housing is now made from Aluminium. 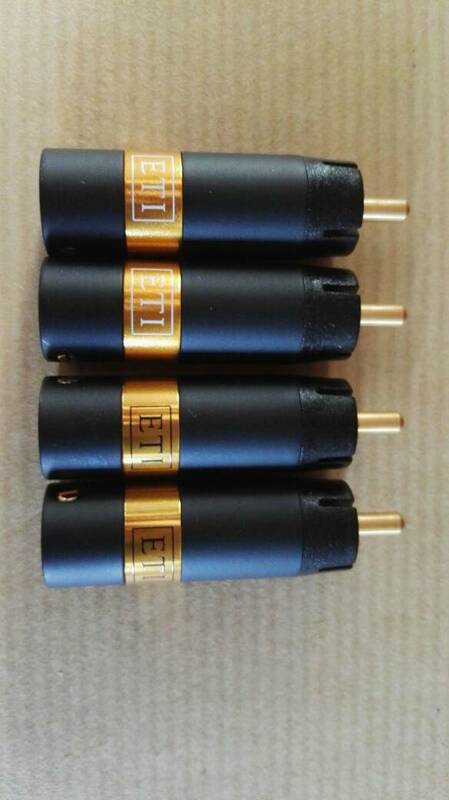 When we first started making the original Bullet we did not have to worry about all the EMI radiation that is floating around our Audio Systems. But today with all the processors and switching power supplies that are used our Audio Systems are in a bath of noise. So we have changed over to Aluminium as it has very good EMI/RF noise rejection so to keep your signal as clean as it possibly can be.